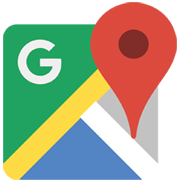 Google Maps marketing, as the term implies, is a process of using various Google Maps features and functions to let your potential customers find you. Most of the big entrepreneurs and small businesses are now equally harnessing the best of Google Map for business growth. Google Maps, without the second thought, is Google’s most popular and pampered app used by individuals and businesses alike. Google has been doing all that needs to be done to refine and improve Google Maps. And the strategy is indeed working. Lately, Google Maps transformed into an incredibly popular marketing tool from being a dumb location tracking Google app. The article covers almost every question that you wanted to know including what Google Maps marketing is and the things you must be doing to receive high placements in local business results listings. Google Maps marketing, as the term implies, is a process of using various Google Maps features and functions to let your potential customers find you. Most of the big entrepreneurs and small businesses are now equally harnessing the best of Google Map for business growth. If you use Google Maps marketing tactfully, Google Maps can play an important role in your digital marketing strategy. Google My Business allows businesses to claim a listing for their business that may appear in Google search results. It was earlier known as Google places. Almost every business can claim Google My Business listing that includes and display crucial information that searchers may want to know, such as address, opening hours, and customer ratings.Businesses that fall under prohibited categories can’t create their business listings. Merely having to claim your business listing isn’t enough, it should be organized, accurate and at par with Google listing guidelines. Providing inaccurate or missing information could result in far less visibility and a poorer overall Google Maps ranking. Unfortunately, a good percentage of businesses fall prey to this, just because they don’t care to fill accurate information. If you have recently noticed dropped visibility and tanked rankings of your Google Maps Listings, your optimization might be at fault. We are listing here a complete checklist to help you improve and optimize your Google Maps listing for maximum visibility. This is the first and the easiest part of the Google My Business listing, but unfortunately, most businesses get it wrong. When filling up the address into your Google My Business profile, ensure that it’s accurate and is the exact same address information used postal authorities where your business operates. Avoid using special characters and erroneous spaces, as they can hit you Google Maps ranking badly. You should also check that that same address you have provided is actually being displayed in your Maps listing. If you own a business with an actual storefront, but serve a wide area (pizza delivery services), you must mention in the listing which areas your business serves. Include the names of nearby towns or cities that you serve. The next thing that needs careful planning is getting your Google Me Business listing to verify. The verification process takes up to a couple of weeks, as Google sends your unique verification PIN to the physical address listed in your Google Me Business profile to confirm verification. Few businesses are also verified via the phone number they provide. Most business owners manage to provide only primary business categories, while filling up Google My Business profile. That eventually a big turn off in terms of profile optimization and overall business reach. We recommend you to (must) include additional relevant business categories apart from the primary one while creating the profile. It might be helpful in case if your company offers a wide range of related services. The idea is that the more information you share with Google, the more accurate and optimized your Google My Business listing will be. The introduction you write should contain every possible detail a prospective customer might need to know about your business. These details should reflect what you do, where you are, and why your business is the best. You can also add relevant links in your Introduction. However, be aware of keyword-stuffing and links spamming while writing the introduction. It’s important that your business introduction is in sync with Google guidelines. A well-written and compelling Introduction written with searchers in mind will help you rank your business profile. Images, when attached to your business listing, add value to your business profile. Business listings with photos are much more appealing than those without. However, make sure that images used are well optimized, as they increase the visibility of your business profile. You can use third-party apps to optimize your images and add following metadata to your images. Customers are your best PR managers. What they say about your business is almost a feedback for you and a signal for other customers waiting in buying queue a row. It’s unclear how helpful user reviews are in improving your profile’s rankings, but a business listing with positive reviews has an edge over a business with negative or no reviews. So it’s recommended you request and include reviews in your Google My Business profile.